On January 11, FCHEA member company PDC Machines of Warminster, Pennsylvania, hosted United States Senator Bob Casey of Pennsylvania for a tour of their manufacturing facility. PDC Machines, established in 1977, manufactures diaphragm compression systems for specialty gas, chemical processing and renewable energy companies worldwide. 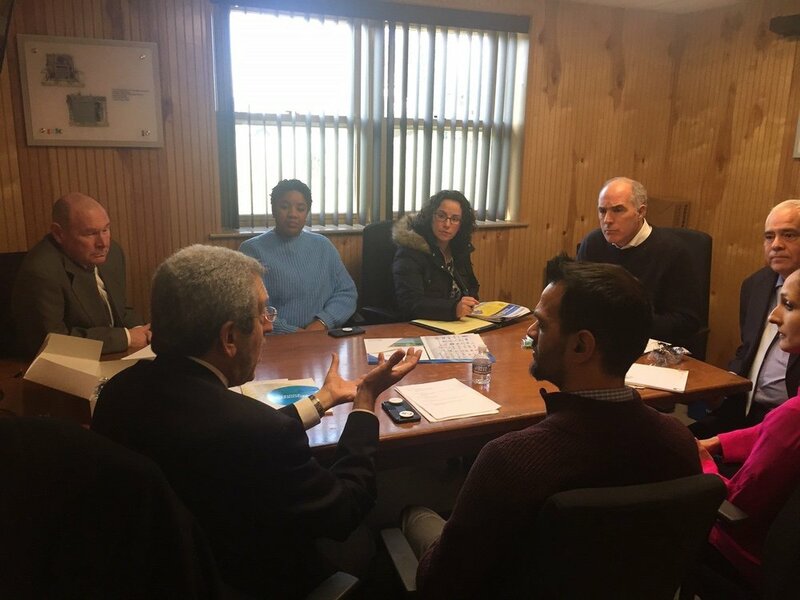 The company briefed Senator Casey on the many applications for hydrogen fuel cell technology and its potential impact on the state’s economy. FCHEA President Morry Markowitz also attended the site visit and spoke to Senator Casey about the hydrogen fuel cell industry in Pennsylvania and the United States. Senator Casey (third from left) with PDC Machines employees in front of SimpleFuel, an on-site hydrogen generation, compression, storage and dispensing appliance that uses water and electricity to produce high purity fuel cell-grade hydrogen. FCHEA President Morry Markowitz (front left) discusses the hydrogen fuel cell industry with Senator Casey, his staff, and PDC Machines employees. FCHEA President Morry Markowitz (second from left) and Senator Casey (third from right) on the floor of PDC Machines’ manufacturing facility in Warminster. FCHEA would like to thank Senator Casey for visiting PDC Machines to show support for his home state’s hydrogen fuel cell industry. We would also like to thank PDC Machines for inviting Mr. Markowitz to the site visit.